From deeper in the Disney Vaults, our second volume collects three more complete years of Sunday fun―every color page from January 1943 through December 1945. 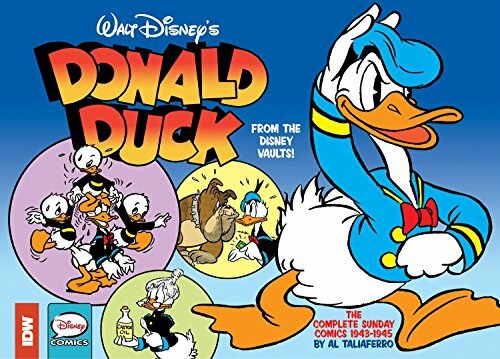 By the end of the book, WWII is (literally) history and Donald, Daisy, and those incorrigible nephews find more than their share of joy―and mayhem―in Duckberg. Disney scholar Alberto Becattini provides an introduction that puts the strips in historical perspective, and tells us about George Waiss, who joined the creative team in 1943, taking on the inking chores over Al Taliaferro’s pencils.